Nothing says summer like berries and ice cream, right? 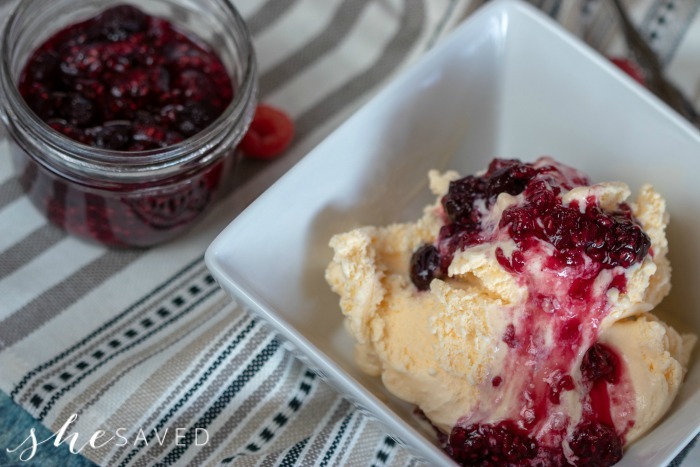 This yummy and easy Instant Pot Mixed Berry Compote recipe is perfect for adding a delicious touch to your summer desserts. 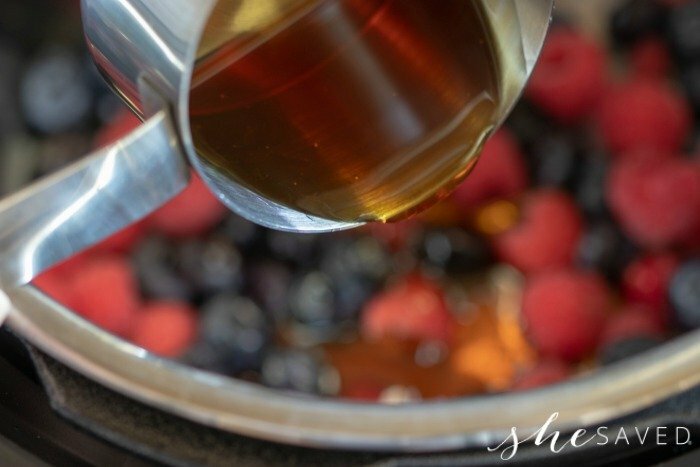 If you grow berries, then this recipe will come in really handy during the summer months and it also works perfectly for those last minute desserts because it literally takes just 3 minutes to cook! 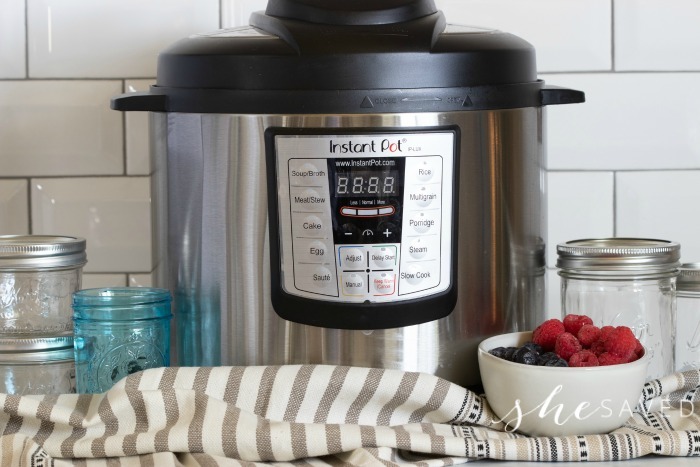 If you are like me, then you are finding all kinds of uses for your Instant Pot and I love that it had become a handy appliance for everything from breakfast (Instant Pot Steel Cut Oats) to easy dinners (Instant Pot Italian Soup). Wash, dry then dice 3 cups of raspberries and blueberries. 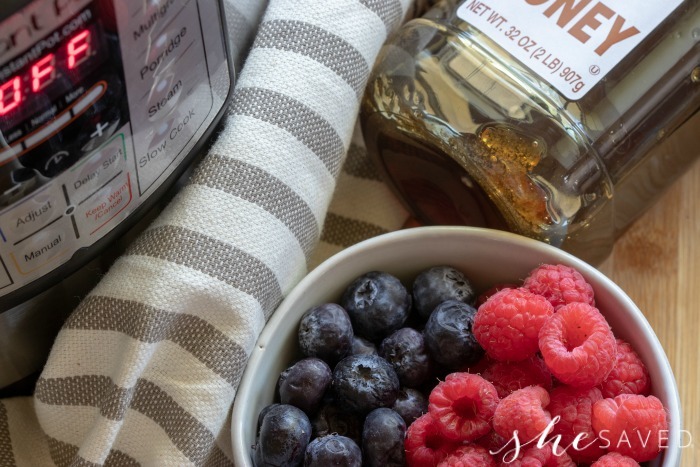 Add 1/3 cup of honey to your berries. Set your Instant Pot for 3 minutes on manual with steam release closed. Once done allow the steam to release from valve. ( The steam/juice from the berries can spray out of the valve so be very careful as you release.) Once released open the pot and your compote is done. 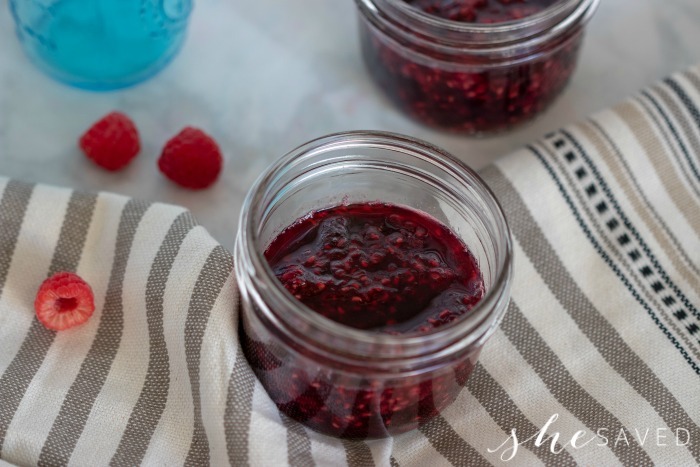 You may strain any excess liquid and blend if you would like to create more of a jam texture, otherwise leave untouched once cooked. Pour mixture into jars and allow to cool before covering with lid. Enjoy within 5-7 days. 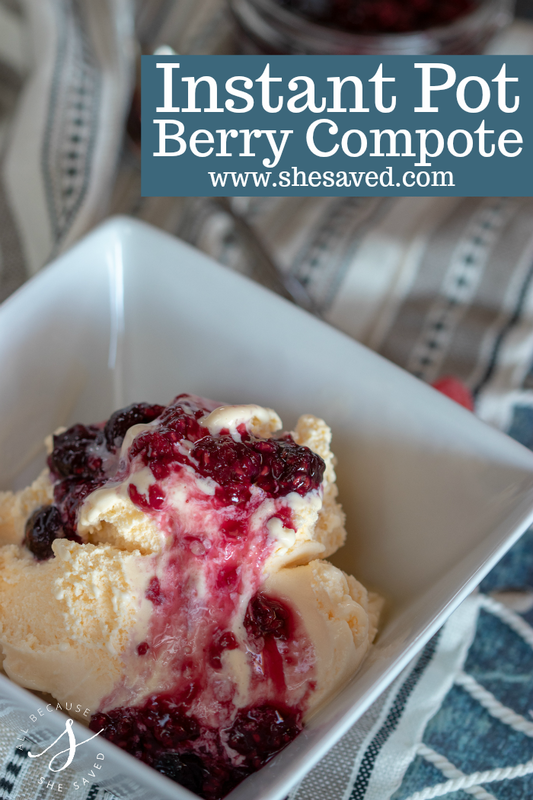 Enjoy this compote on ice-cream, waffles, pancakes or oatmeal. Set your Instant Pot for 3minutes on manual with steam release closed. « 1/2 Price Shakes at Sonic After 8pm! I knew there was a good reason to buy an instant pot and this recipe is it. Love compotes!